So, you decided to have clean labels for your products, now what do you do? You are not alone in your pursuits of this endeavor. A couple of years ago, I was approached by a marketing department when they wanted to make certain claims in their product lines and one of the phrases they used was “we want to say that our labels are clean because our clients want this”, so I asked them, ‘What do you mean by clean?” And of course, having several people in that meeting, I got several different answers! Answers like “no GMO’s”, “Natural”, “Gluten-free”, “No antibiotics”, “No pesticides”, “No Artificial ingredients”, etc. So, the first task at hand was to clarify what the term “clean label” means. At that time, we did not find a definition either from USDA-FSIS or FDA for the term “clean label”, what we found was that the term was probably developed by consumers as an “understandable” claim or answer to ingredients in their food. The Clean Label trend has taken center stage and found its way into many respected scientific meetings. The 2015 Institute of Food Technologist Annual Meeting and Food Expo is just one example of many where the topic of Clean Labels and what that means, was discussed. When the US-based food retailer, Whole Foods Market, published a list called “Unacceptable Ingredients for Food1” around 2014, they began working with their suppliers on creating products only with natural ingredients as part of their Food Ingredient Quality Standards. Around the same time, Panera Bread published their “No No List2” of ingredients, such as preservatives, sweeteners, flavors, and colors, all from artificial sources, that were no longer allowed in their products. The trend was not just U.S.-focused as many International companies were also working on making their labels more transparent to help consumers make better decisions. So, what does “clean label” mean? Many definitions exist, and all include the fact that terms such as “no artificial ingredients” and/or “natural” are included on labels as consumers expect transparency by using ingredient names that people can recognize. One of my favorite definitions of a “clean label” came from my wife (not biased!) who said that a clean label is one where she understands ingredients in her food without having to ask me and that the ingredients do not come from artificial sources. This transparency is a great and noble cause to pursue but what are the challenges? In my opinion, the first challenge facing the technical and scientific community is that functionality in many cases drives the choice of almost all ingredients: things like water retention (phosphates), color additives (FD&C Red No. 3 and 40), color development/enhancement (sodium nitrate in processed meats) and flavor enhancement agents (MSG or Monosodium Glutamate not naturally occurring). Some ingredients already have a natural alternative, like the use of celery powder and sea salt as a source of naturally occurring nitrate-nitrite but we are still working on alternatives for others, creating challenges to R&D scientists and chefs all over the country. This R&D also creates the second challenge in my opinion: cost. Many of these “clean” ingredients are expensive either because of the amount of these “clean” ingredients required or the increase in demand just in the last couple of years. Before a company decides to reformulate, understand your audience and your clients to ascertain whether they are demanding this change or not. I was surprised when the company asked their marketing group to investigate whether the demand for clean ingredients was universal, that only a small percentage of clients were demanding a change to clean labels. Based on that research they decided to invest time in creating a brand-new line of products to fulfill this need instead of reformulating all products. Are all my clients and/or target markets demanding a clean label? Are they willing to pay for this change? Can I afford the change? Do we change our formula or do we create a new line of products? Depending on your answers, you will be able to make an informed decision for the future of your company. Note: This article presents the point of view of the author and does not represent any legal advice. EAS will be exhibiting at the upcoming fourth annual Food Defense Conference to be held May 22-24, 2018 in Minneapolis. Senior Director for Food Consulting Services Allen Sayler will be in attendance along with experts from around the world to discuss and learn from each other about the current state of food defense. 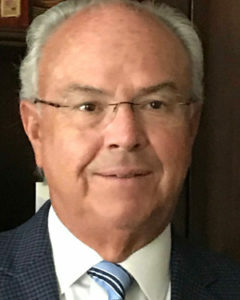 Gustavo Gonzalez, Ph.D., will present EAS’s first Spanish language webinar titled Foreign Supplier Verification Program – What Does it Mean for You? targeted towards foreign firms exporting foods into the U.S. This complimentary webinar will cover FDA requirements and documentation necessary to comply with the increased requirements of the Food Safety Modernization Act. Join us on June 6, 2018, at 1:00 pm Eastern. For more information on this free webinar and to register, click here. EAS Consulting Group would like to bring to your attention an FDA Center for Tobacco Products announcement regarding updates to the Provisional Substantial Equivalence review process. Substantial equivalence (SE) is the most commonly used pathway by which tobacco products may obtain premarket authorization. Whether SE reports were submitted Provisionally, (products introduced into commercial distribution between February 15, 2007, and March 22, 2011) or are now submitted Regularly (SE Reports received after March 22, 2011), manufacturers must demonstrate that their new products have the same characteristics as a predicate product, or that any differences do not cause the new tobacco product to raise different questions of public health. EAS Consulting Group offers a wide range of regulatory services. For assistance with dietary supplement and tobacco questions, including preparation of TPMPs, please contact our Senior Director for Dietary Supplement and Tobacco Services, Tara Lin Couch, Ph.D. at 571-447-5510 or tcouch@easconsultinggroup.com. 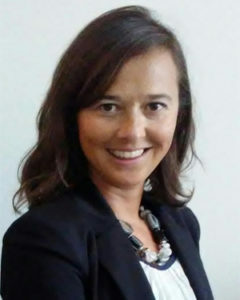 Tara Lin Couch Ph.D., Senior Director for Dietary Supplements and Tobacco Services, will present a webinar on August 6, 2018, at 1:00 pm Eastern to help cannabis firms prepare for cannabis Good Manufacturing Practices (GMPs). As states begin to regulate legalized cannabis, the concern of how GMPs apply to this unique industry cannot be understated. While regulations vary from state to state the quality systems under which cannabis products are grown and manufactured have similarities that can begin to pave the way for putting practices and procedures in place to meet compliance expectations, including those of testing and quality control of in-process materials, finished batches and packaged/labeled products. The time is right for the cannabis industry to begin assessing manufacturing processes and implementing sound and effective quality systems in order to begin preparing for GMP regulations. Stay ahead of the curve, standardize your product quality and be a leader in your industry. Join Tara on August 6, 2018, at 1:00 pm Eastern for this free webinar by clicking here. EAS is pleased to be invited speakers at two sessions as part of the FDLI Annual Conference. Independent Advisor for Import Operations, Domenic Veneziano, spoke Friday, May 4, 2018, at a session on International Harmonization Efforts. 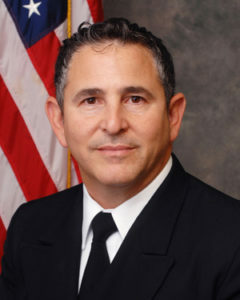 Mr. Veneziano is a former director of the FDA’s Division of Import Operations, where he spent ten years overseeing FDA’s import operations program and providing leadership, guidance, and direction to approximately 1,000 field investigators in more than 320 U.S. ports of entry. Please join Domenic on June 26, 2018, EAS Webinar on VQIP which will delve more deeply into this option for expedited entry of products to the U.S. market. Dean Cirotta, President, and COO moderated a May 3, 2018, panel session called FDA Center Directors: Center for Tobacco Products (CTP). The discussion included priorities and goals for the Center as well as feedback on issues facing the industry. As noted in the What’s Happening at FDA section of this EAS-e-News, FDA is actively working on Good Manufacturing Practice equivalents for the tobacco industry, which is called Tobacco Product Manufacturing Practices. EAS has been actively following this development and is able to provide guidance on expected compliance requirements. Independent Consultant, Heather Fairman has published two articles recently. One in Food Processing Magazine focuses on the positive impact of workplace safety programs on corporate culture. Next, she wrote about five “golden rules” for co-packers to stay competitive and profitable for Natural Products Insider. In addition to being a gifted writer and expert consultant on quality control and quality assurance issues, Heather serves as a Technical Advisor for the SIDS DOCK Island Women Open Network (IWON), an intergovernmental organization of Small Island Developing States (SIDS), which has all the rights and privileges of a United Nations organization comprised of 32 countries and who are embarking on developing a raw material market for the herbal supply-chain. Gabe Miller, an expert in Food Safety Programs has written an article for the Cannabis Industry Journal on how solid food safety programs can help make cannabis products safer and save businesses a lot of time and money. Gabe spoke at the upcoming University of Madison Cleaning and Sanitation Short Course on sanitary equipment design on May 1. 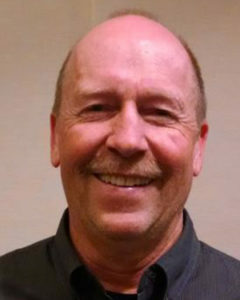 Gabe is a specialist in troubleshooting food safety and quality problems and has extensive experience in evaluating electrical, mechanical and equipment systems. He is a 3-A Sanitary Standards Inc. Certified Conformance Evaluator (CCE) who works with food processing equipment design and engineering companies to advance hygienic design. 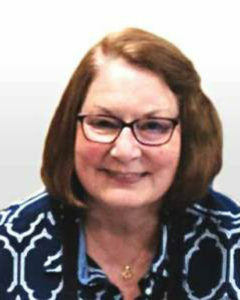 Independent Advisor for OTC Drugs and Labeling, Susan Crane, will host a webinar July 31, 2018, at 1:00 pm Eastern on OTC monographs. Join her for a better understanding of how to read and interpret the different sections of the monograph and translate the required elements into a Drug Facts panel. She’ll also discuss what the future might hold for OTC drugs as Congress considers changes to the monograph system. This webinar is complimentary and you may register by clicking here. EAS Consulting Group is offering a full line-up of educational opportunities through our informative webinar series. These 45-minute webinars are an opportunity to get up to the minute regulatory information on the latest topics pertaining to FDA regulated industries, with time for questions after the presentation. Reserve your seat today! FDA recently responded to a letter from congressional representatives regarding product safety in the dietary supplement industry. In the letter, dated April 12, 2018, the agency states that safety, product integrity, and informed decision-making are the prioritization factors used to determine enforcement and regulatory strategies for the dietary supplement industry which is now a $40 Billion market with up to 80,000 products through a supply chain that includes approximately 7,000 facilities. The agency stressed that the review of Serious Adverse Events, New Dietary Ingredient notifications, and work with the FTC to remove product and companies from the market that contain undeclared pharmaceutical ingredients and other adulterants when found through inspection, label compliance reviews, and market surveillance is key. This was sent in a letter to Congressional Representative Andy Harris from MD, Derek Kilmer from WA, and David Young from IA who had previously requested that FDA describe its role and current progress in dietary supplement enforcement and regulation. It is a great glimpse into the current thinking of the Office of Dietary Supplements. Independent Advisor for Import Operations and former FDA Director of Import Operations, Domenic Veneziano, will host a webinar focusing on the specific requirements and applications of the Voluntary Qualified Importer Program (VQIP) on June 26, 2018, at 1:00 pm Eastern. VQIP is a fee-based, voluntary application whereby firms who meet certain food safety and import history requirements may receive expedited review and entry of their products into the US market. VQIP will take effect in October 2018 so it is now time to determine eligibility and apply to be included in the program. Join Domenic on June 26th by clicking here. There is a $99 registration fee associated with this webinar. FDA released Guidance for Industry on highly concentrated caffeine in dietary supplements. FDA considers products which only or primarily consist of pure or highly concentrated caffeine and are sold as dietary supplements to be adulterated under section 402(f)(1)(A) of the FD&C Act [21 U.S.C. § 342(f)(1)(A)] due to the significant or unreasonable risk of illness or injury under the conditions of use recommended or suggested in the labeling or, if no conditions for use are suggested or recommended, under ordinary conditions of use. These products which have been linked to at least two deaths in recent years are considered to present a significant public health threat. 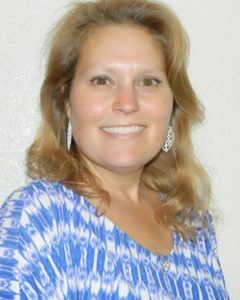 Dawn Wydner, Ph.D., consults in pharma and medical devices, providing proactive compliance and application of quality oversight in all aspects of operational strategy, coordination and conduct. 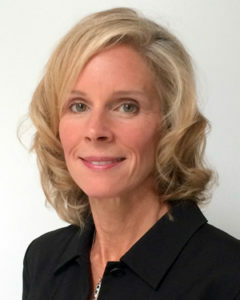 Prior to consulting she was the Senior Director of BioResearch, Quality, and Compliance at Janssen Research & Development, LLC where she oversaw GxP regulatory requirements and compliance issues and provided guidance on GCP/GLP mock inspections and audits of clinical investigators, CROs, SMOs, sponsors/monitors, animal laboratories and IRBs. She is a sought-after speaker, sharing her expertise on topics such as Sponsor Monitor Inspection Management and Expectations, Inspection Readiness and FDA Trends, Analytical Risk Management. Richard White is a former Director of Codex and International Standards Policy at the Grocery Manufacturers Association. Prior to GMA, he had a career serving US public interests as the Senior Director, Sanitary and Phytosanitary Affairs at the Office of the US Trade Representative and as the Senior Advisor for International Activities in the Office of the Assistant Administrator for Prevention, Pesticides and Toxic Substances at the Environmental Protection Agency. As a consultant he provides expert advice and services regarding international standards, national policies and regulations on food safety and animal and plant health with a focus on the activities of the Codex Alimentarius Commission (CAC) and its subsidiary bodies. Andrea Yablunosky’s focus is product development, labeling compliance, and risk mitigation for issues pertaining to USDA/FSIS. With a background in food science and nutrition she is well-versed in policy development, product reformulations and promotions, recall preparedness and effective recall management. Prior to consulting Andrea was the Director of Government Affairs at ConAgra Foods where she advised the company business units on implications of FDA and USDA policy objectives. Dee Duffy has over thirty years of experience in regulatory food labeling and a passion for saving companies money by helping them comply with public health information regulatory standards. 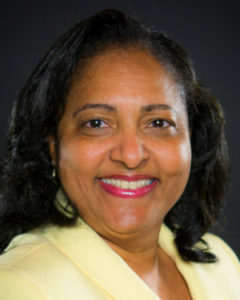 She has worked with numerous food manufacturers like Johnsonville and Birchwood Foods on products available in grocery outlets like Kroger, Publix, and H-E-B, to help ensure new product packaging can go on shelves with minimal risk. 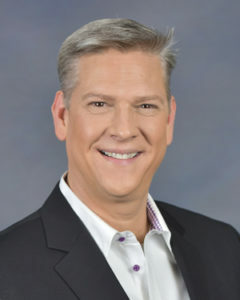 Bryan Armentrout is an expert in international CPG, and dairy, quality, system development, Safe Quality Foods, (SQF), Hazard Analysis and Critical Control Points (HACCP), design control, auditing, troubleshooting, recall, and crisis management, and process improvement. 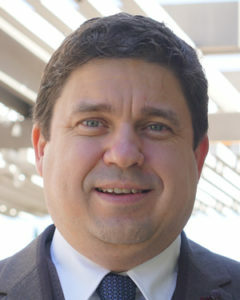 Prior to consulting he was the Vice President of Quality Assurance and Food Safety with Boulder Brands and the Vice President of Quality Assurance and Food Safety at CSC Sugar, LLC. He has a history of benchmarked and proven success leading companies to more efficient and compliant processes. Meet Issue of the Month Author Gustavo Gonzalez, Ph.D.
Gustavo Gonzalez, Ph.D. is a Food safety, regulatory compliance and quality leader with 24 years’ experience driving strategic planning and implementation the policies and procedures that govern food safety and quality programs that align with current and industry food safety, quality, and R&D trends and best practices. He is an expert in a range of food sectors, quality and safety systems and other programs such as allergen control/prevention, auditing functions, distribution systems, environmental monitoring, FSMA, GFSI, retail operations, sanitation, team building, and training. Prior to consulting, Dr. Gonzalez was the Corporate Director of Food Safety and Regulatory Compliance for Jack in the Box, Inc. He has a Ph.D. in Meat Science from Iowa State University. We invite you to join Dr. Gonzalez on June 6, 2018, at 1:00 pm Eastern when he will present a webinar on the requirements of the Foreign Supplier Verification Program in Spanish. Click here to reserve your seat. The U.S. Food and Drug Administration has issued a final rule to extend the compliance dates for updating Nutrition Facts and Supplement Facts labels, from July 26, 2018, to January 1, 2020, for manufacturers with $10 million or more in annual food sales. Manufacturers with less than $10 million in annual food sales will receive an extra year to comply – until January 1, 2021. The agency published a proposed rule to extend the compliance date in September 2017, and this rule finalizes that extension. This approximately 18-month extension will provide sufficient time to transition to the new version of the Nutrition Facts label. Foods are defined in the FD&C as articles used for food or drink for man or other animals, chewing gum, and articles used for components of any such article. Dietary supplements are defined as a product taken by mouth that contain a dietary ingredient intended to supplement the diet. Dietary ingredients may include vitamins, minerals, herbs or other botanicals, amino acids, and substances such as enzymes, organ tissues, glandulars, and metabolites; or extracts or concentrates of any of these. Dietary supplements can be in many dosage forms such as tablets, capsules, softgels, gelcaps, gummies, liquids, powders, and bars if they do not represent the product as a conventional food or sole item of a meal or diet. The DSHEA regulation itself addresses aspects of the manufacturing, packaging and distribution of a dietary supplement product for distribution to the consumer. The comparable general food regulations are found in the relatively new FDA “Preventive Controls for Human Foods” regulation found in 21 CFR 117. Shortly after the beginning of enforcement of 21 CFR 111 by the Center for Food Safety and Applied Nutrition (CSFAN), in 2010, the Food Safety Modernization Act (FSMA) was passed by the United States Congress in 2011. FSMA has been referred to as the most sweeping and significant legislation for the protection of public health regarding safety, efficiency and security of foods, drugs and cosmetics (the mandate of the FDA) since the first set of laws were passed with FD&C in 1938. It was in reaction to numerous cases of food-borne illness and product recalls, particularly for pathogens (undesirable microorganisms) and allergen cross-contact and contamination issues in general foods. Pathogenic microorganisms of most notable concern are Escherichia Coli, Salmonella, Staphylococcus aureusand Listeria monocytogenes. Allergens are foreign substances that, in some consumers, can cause an abnormal immune system response that, at its most dangerous extreme, can result in death. In the United States, by law, eight food allergens must be identified; these are known as the “big eight”, i.e., milk, eggs, fish, crustacean shellfish, tree nuts, peanuts, wheat and soybeans. Seven major regulations have been issued by FDA to support enforcement of FSMA. The most important of these being 21 CFR 117, “cGMP and Hazard Analysis and Risk-Based Preventative Controls for Human Food (PCHF).” Interestingly, dietary supplements are exempt from many of the requirements in these seven FSMA-based regulations, but not all. 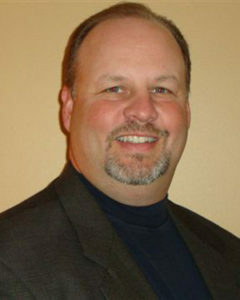 Allen Sayler is the senior director for food consulting services at EAS. Sayler’s expertise in the areas of food processing, particularly in the area of dairy processing, infant formula, bakery products, food additives, botanical products and food packaging as well as GSFI Third-Party Certification programs such as Safe Quality Foods (SQF). 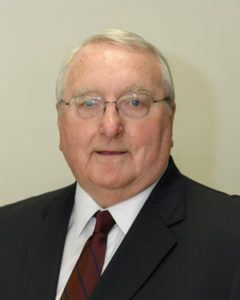 Allen has spent more than 30 years as a food processing and regulatory expert, with half of the time serving the industry and the other have as a state and federal government employee. At TMAs 103rd Annual Meeting held on Tuesday, April 10, 2018, Dr. Zeller confirmed that FDA is actively working on a number of priorities that he called “Foundational Rules and Guidances”. This includes the issuing of the Tobacco Product Manufacturing Practice (TPMP) Rule which is required by Section 906(e) of the Tobacco Control Act addressing Good Manufacturing Practice (GMP) Requirements, which the FDA now calls TPMPs. Mr. Zeller made it clear that the FDA is “hard at work” on this rule. When asked about when the industry can expect this Foundational Rule and Guidance for TPMPs to be issued by the FDA, Mr. Zeller declined to comment on a specific timeline, however, he did stress that the rule, along with the other foundational rules and guidance, is a priority for CTP. FDA is actively working on these and is committed to issuing the TPMP rule as soon as possible. The tobacco industry should begin prioritizing manufacturing and quality processes assessments to begin preparing for and implementing quality systems, manufacturing controls, documentation, and SOPs. Based on Mr. Zeller’s presentation, the impending issuance of Tobacco TPMPs in conjunction with FDA’s new priorities indicates this preparation should begin sooner rather than later. 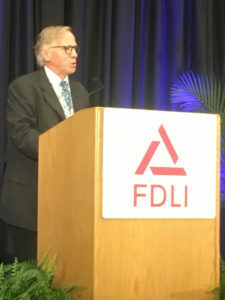 Steve Armstrong is the winner of the 2018 Service to FDLI award, presented at this year’s FDLI Annual Conference held in Washington, D.C. Steve is the former chief law counsel at Campbell Soup Company and has been consulting with EAS, providing expert opinion and strategy in the areas of product development and labeling since 2016. Steve is a sought-after speaker and writer, particularly on the subject of GMOs and other claims. His contributions to FDLI and the industry through his own efforts and as a representative of EAS facilitate greater industry understanding and promotion of ethical and sound practices. You may read Steve’s most recent article on due diligence, mergers and acquisitions, and considerations when purchasing a 21st Century Food Company in a recent Natural Products Insider. Senior Director for Food Consulting Services, Allen Sayler, will speak on how FSMA impacts the dietary supplement industry during the Dietary Supplement Regulatory Summit, taking place May 16, 2018, in Washington, DC. The Dietary Supplements Regulatory Summit is the collaboration between AHPA, CHPA, CRN, NPA, and UNPA — the trade associations representing the dietary supplements industry and will feature updates and insights from FDA and industry regulatory experts, and will focus on the key regulatory compliance issues facing the dietary supplements industry.